James Cryer of JDA Print Recruitment: "We can’t even agree on who 'belongs' to the printing industry..."
OPINION: The printing industry: One or many? With packaging now firmly on the radar of big names in printing, James Cryer argues there's a call for consolidation of representative bodies across the printing sector, and believes an umbrella group is the way to go. Life used to be simple – there was one printing industry, and that was offset. These days it comprises numerous specialist sectors, including packaging, signage and point of sale (POS), each vying for attention but perhaps feeling somewhat overshadowed by the larger traditional offset or 'commercial' printing sector. This topic – one industry or many? – has the potential to induce drowsiness, but is one to be taken seriously. How should an industry arrange its various trade associations to best reflect its priorities and aspirations, bearing in mind their limited resources? Many of these grew out of of an era that pitted boss against employee, and were really power blocs to advance the cause of employers. We like to think we've moved beyond those times, but have we? Even the revered PIAA (the so-called Printing Industries Association of Australia) is only open to companies – not individuals. Thankfully the mood has shifted away from the old 'us and them' mentality, where what was good for the bosses, was, by definition, bad for the workers. However, the PIAA, which is doing a great deal to adapt, still has its roots mired in the traditional sheet-fed offset sector, and should really be referred to as the Commercial Printing Association. All associations are facing the dilemma of whether to expand their frontiers and become more 'diluted', or 'stick to their knitting' and stay true to their original constituents, risking shrinking into oblivion. We are, however, birds of a feather, and try as we might to convince our brethren from such diverse sectors as labels, wide-format (signage) and mailing to all hold hands and form one big happy group – it’ll never happen. We much prefer to cling to the familiar. We’re never going to change people's DNA: we are tribal and we tend to favour mixing with our own. We can’t even agree on who 'belongs' to the printing industry. Just ask the PIAA if it should accept 'print managers'. But there's no reason you can't have your cake and eat it too. There's no reason we can’t keep our individual associations, but there could still be an over-arching organisation, made up of all the separate 'tribal' associations, which would meet only as required to tackle 'global' problems and opportunities affecting the broader printing industry. And its president could be rotated among each of the various participating sector associations. Which brings me back to my opening ambit. Is there such a thing as THE printing industry? My feeling is that the industry is maturing into a range of fragments, all of which have their own gravitational orbits. They are no longer poor cousins of what we used to call the printing industry, or 'commercial or offset printing'. Certainly 'commercial print' still dominates, representing approximately two-thirds of total employment. However, having undertaken my own survey of 'job vacancies in print', this sector is responsible for less than a quarter of all new job requests in print, and is declining. But signage (and packaging to a lesser extent) may represent a smaller proportion of total employment within the print sector, but punch far above its weight in terms of the proportion of new jobs advertised. The PIAA, however, which only represents a small fraction of the industry (in terms of new jobs created), has the name to die for. Its name suggests it must speak for the entire industry, as it's called the Printing Industries (plural!) Association… of Australia! This is not to point the blame at anyone. Industry associations, generally, lag in terms of keeping up with the changing face of the companies or sectors they purportedly represent. The label association LATMA is snuggling up to the AFTA. GAMAA and VISA have just staged a public love-in – and why wouldn’t they? These realignments simply make good sense. But two of the large behemoths seem to have escaped unscathed – or unchanged. Should the PIAA still rejoice in a name which over-states its reach? 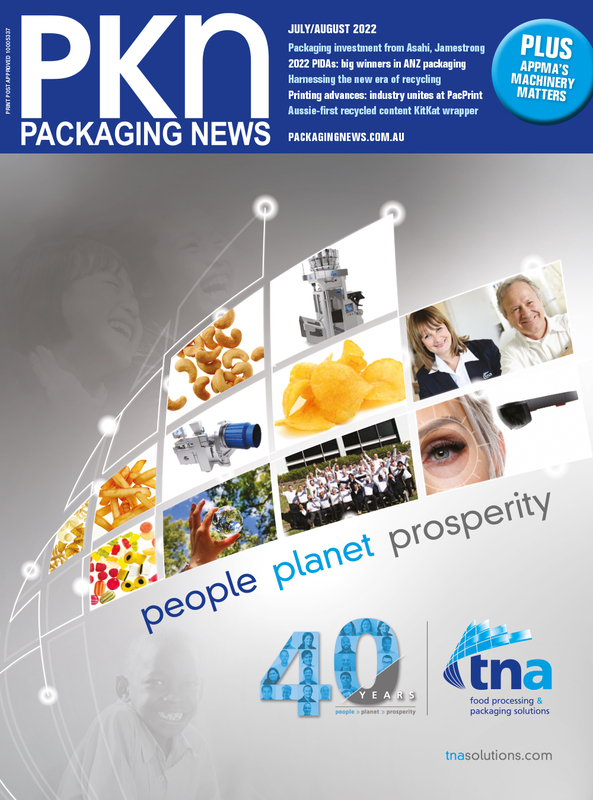 Should the packaging industry’s single biggest body really be a lobby group? And should it allow large buyer groups (AKA Coles and Woolies) to sit at the same table with manufacturers? It doesn’t happen in any other industry association that I’m aware of. The other issue, which is not being properly addressed, is the multi-sectoral need to attract more school-leavers to 'our' industry, regardless of what sector. The answer is to create an over-arching – or 'super' association, made up of the heads (so it’s lean and mean) of all the existing print-related associations (across commercial, packaging, signage, POS, publishing, book printing, mailing, etc) – whoever would like to participate! In so doing, you'd create a body of scale and importance rather than the fractured voice we now have. Canberra would have to sit up and take notice whenever it spoke. And what would this new umbrella entity be called? One possibility would be the (new) PIAA: the Printing Industry (singular) Associations (plural) of Australia! But whatever we call it, one of its first duties would be to create an engaging, new, interactive website portraying all the exciting job opportunities which exist in print, across all sectors – from magazines to labels, signage to direct mail, to augmented reality. And maybe (if we're really smart) to 3D printing! This is what the future of the industry deserves: a restructuring of its associations to better reflect the growing importance (particularly in employment terms) of some of the newly emerging sectors. And it needs an umbrella group to give a coordinated voice to the represent the entire printing industry, particularly when we have to compete with other industries in the race to attract new entrants. Print has a wonderful message to sell. If only all the tribes (packaging, signage, mailing, POS...), could occasionally get together and discover our similarities outweigh our differences.